Charing Cross Tube Station has a long and complicated history. The first part of the station was opened in 1906 when the Bakerloo line was constructed and this part of the station was known as Trafalgar Square. A year later the Northern Line, then the Charing Cross, Euston & Hampstead Railway, was opened and this part of the station was known as Charing Cross. At the time, there was no direct connection between the two stations and passengers would have to take lifts to the surface. In 1914 an effort to improve interchanges, the Northern Line was extended down to the then Charing Cross Station (District) & Embankment, now known as Embankment. For a few years, the naming of these stations became confused. The existing Northern Line station was known as Charing Cross (Strand) and the existing Charing Cross Station to the south was renamed Charing Cross (Embankment). In an effort to solve the naming confusion the stations we renamed once again. Charing Cross (Strand) became simply, Strand and Charing Cross (District) & Embankment was renamed to Charing Cross. In 1926, the 4 lifts within the twin Trafalgar Square Station were replaced with escalators. A third shaft contained a set of escape stairs, which have since been removed. One shaft has since been blocked and had a walkway constructed over it, the other two shafts are used for ventilation. In 1973, the Northern Line Strand Station platforms were closed to allow for the construction of the new Jubilee Line Platforms, then known as the Fleet Line. These platforms were constructed between the platforms for the Bakerloo Line and the Northern Line, with a construction shaft being built to the north of the station. At the same time, a long overdue interchange between the Northern and Bakerloo lines was constructed. In anticipation of this new interchange, the Charing Cross station was renamed Charing Cross Embankment Upon the opening of the new station in 1979, Charing Cross Embankment was named Embankment, and the Strand and Trafalger Square stations were combined and named Charing Cross. At the time, it was expected that the Fleet Line would extend into East London and follow the line of the Strand above. With the rejuvenation of the Docklands during the 1980’s and 1990’s, the plans were revised and the Fleet line was directed south of the River via Waterloo. The new tunnels of the extended Jubilee line branched south after Green Park. 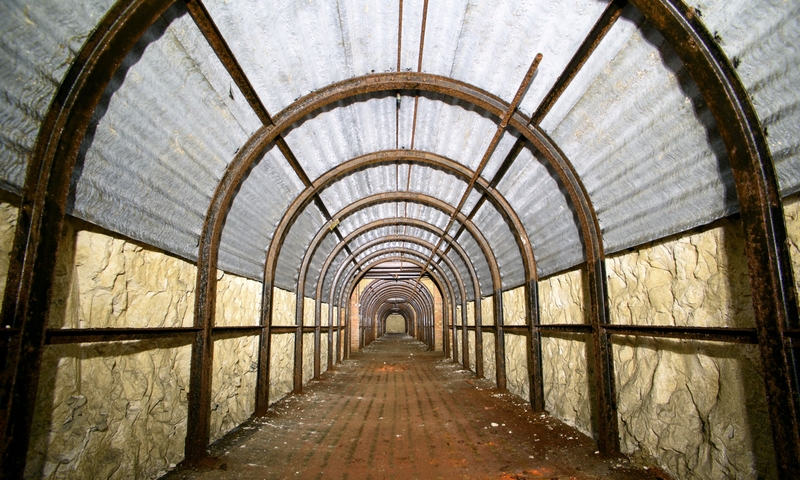 The final section of the tunnel between Green Park and Waterloo was opened in November, 1999. At this point, the Charing Cross Platforms were closed to the public. They are still actively used by London Underground as it allows them a reversing point for trains in central London, stabling for up to 6 trains in the event of an emergency and an active film set away from the public.